Cyfac bicycles and the Peaks Coaching Group announce an exclusive bicycle supplier and coaching partnership. The intense synergy between a custom frame and an individualized training plan uniquely position Cyfac and PCG to deliver a truly personalized equipment and fitness solution for each cyclist and triathlete. "The inclusion of a custom frame - and one of Cyfac's caliber - to our training portfolio allows us to offer a comprehensive solution for our athletes," says PCG's founder and former pro rider, Hunter Allen. "We see the interplay of athlete and equipment as a key area where improvements can be made when properly addressed with custom builds." "Hunter and PCG's reputation for detailed coaching solutions and a commitment to each athlete's needs fits perfectly with Cyfac's ethos," says Eric Sakalowsky of Cyfac's US importer, Velo Europa Imports. "The equipment side only takes a rider so far. Training and the steady guidance of a top coach completes the package." Cyfac was founded in 1983 by master frame builder Francis Quillon and is based in La Fuye, France. They have been making custom and standard frames by hand for more than 25 years, supplying to Tour riders and Olympic champions. Each frame is painstakingly hand-crafted in their Loire Valley factory to our customers' precise desires. An all-new eco-friendly "green" paint process ensures a beautiful finish across more than 14,000 color options. PCG was founded in 1995 by Hunter Allen in Bedford, Virginia as a way to bring cycling experience and knowledge to other riders interested in becoming the best. Blending the analytical nature of wattage training with the understanding that every cyclist's needs are different, Hunter Allen and his coaches, work to bring every athlete to their peak. Hunter is also the co-developer of TrainingPeaks WKO+ software, which is the gold standard for power analysis and he is the co-author of the book, "Training and Racing with a Power Meter". 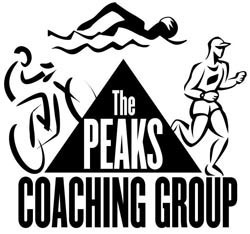 The Peaks Coaching Group has yearly camps, seminars and monthly webinars, along with coaching services to bring the latest in training techniques to interested cyclists. Cyfac consumers and PCG athletes will have special access to both Cyfac products and PCG coaching plans. Customizable solutions for all levels of athletes and across all cycling disciplines are available. Contact info@veloeuropa.com for more details.